Ever since I started off-roading, it seems I always end up in the Western United States or British Columbia, Canada. Since I live in Portland, Oregon, it’s only natural to head out to investigate all the Pacific Northwest has to offer. Whether it's dense forests in the mountains, ocean or inland sand dunes or high desert sprinkled all over, I can play for miles and months. I've toured around states like Washington, Idaho, Colorado, Utah, Nevada and California and seen terrain that varies from hard-packed dirt to huge boulders, gigantic mountains to sage lands or muddy bogs to water crossings—open land as far as the eye can see. 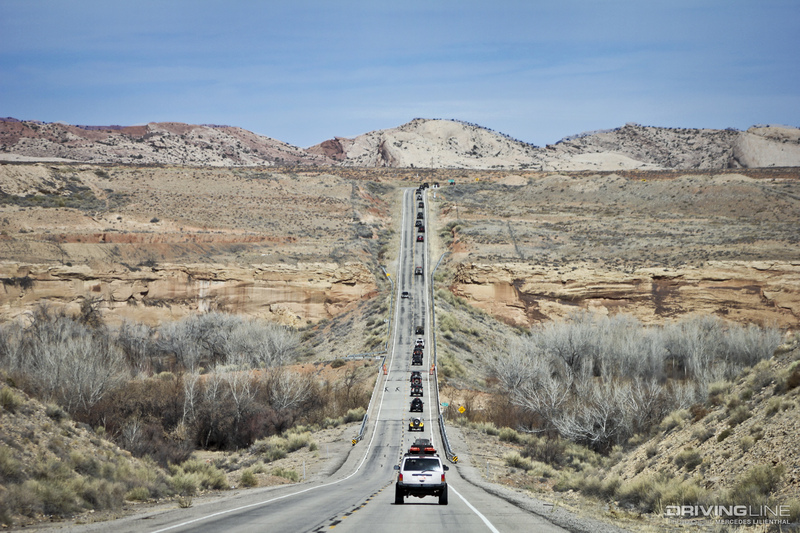 The opportunity to explore off-road in the West is vast and seemingly limitless. However, attending this years’ Overland Expo East near Asheville, North Carolina opened my eyes to that part of the country. Not only was it one of a few times I’ve been on the East Coast, I had the chance to drive through some beautiful country. Rolling hills and thick deciduous forests lined the highways. Thick fog formed after torrential rain hit the day before. Clouds were tucked into valleys and mud was everywhere, but the lush greens of the surrounding countryside pierced through it all. I wondered to myself, “How is off-roading on the East Coast? How is it different than what we had to offer?” Not only are their states smaller, but the terrain seemed vastly different. I talked to East Coast adventurers during that event to find out what their off-pavement life is like, versus what the West has to offer. I’ve ventured around western North America since 2006 (when I moved to Oregon from the Midwest), and I’ve learned a lot in that time. Before I moved, I never knew what “open land” was, nor what BLM stood for (it’s a segment of the US Government, called the Bureau of Land Management, that regulates public lands). When traversing through western states, you can pretty much park in any BLM designated area and primitive camp for the night. There are hundreds, potentially thousands, of miles of winding trails, offering up countless breathtaking views. I’ve explored parts of Ouray, Colorado’s San Juan mountains and played in the orange sands of Sand Hollow, Utah, hard-packed sands of the Oregon beaches and light and fluffy sands of St. Anthony, Idaho and Glamis, California. 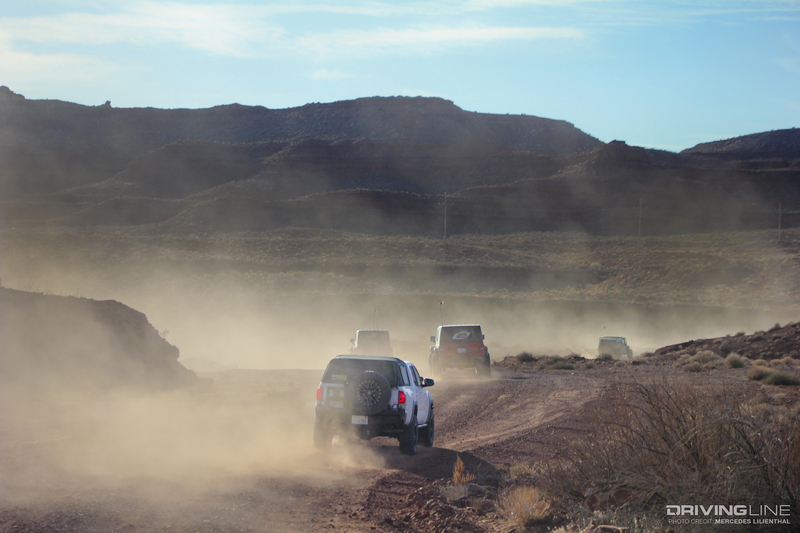 I've driven thousands of miles of desert trails, too, to train for and compete in the 2018 Rebelle Rally, an all-women’s traditional navigation off-road rally. The pine trees of Tillamook, Oregon, Mt. Hood and Tahuya State Park in Washington kissed our rig’s sides, while Moab, Utah’s slick red rock provoked us to visit again. The Western US is huge—it beckons you to explore it. 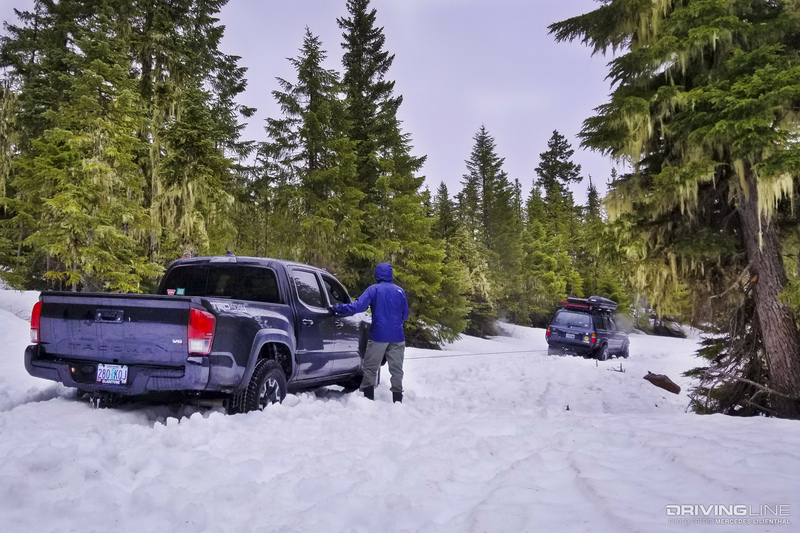 “One thing that I notice as a difference between the East and West Coast is the plethora of public lands the West Coast has (from Colorado, Utah, Arizona, Nevada, to California) compared to the small amount of public lands East Coast 4x4ers get to enjoy,” says Eric Karahalis, an avid off-roader who is part of the Northeast Mitsubishi 4X4 crew and 'wheels an 1989 Dodge Raider. He mentions that the most difficult thing about East Coast off-roading is the accessibility and proximity of lands to explore. “In Vermont and New Hampshire we have access to class 6 and class 4 roads that are public lands but they run through a lot of private property to the left and right of the trails.” Class 4 and 6 roads are avenues that provide transportation access to agriculture and forest access management that may not be maintained yet are open to the public. Eric goes on to say that despite that, there are a lot of OHV parks on the East Coast for folks to enjoy, like Pennsylvania’s Rausch Creek and Anthracite Outdoor Adventure Area (known as AAOA) or the Metowee Offroad park in New York. In Maine, they have lots of state forests and forest or logging roads, and New Hampshire and Vermont have plenty of gas or coal company-managed roads. The Uwharrie National Forest of North Carolina provides the only public off-highway vehicle (OHV) trail system in the Piedmont Region. This trail system ranges from meandering dirt roads to steep, rocky climbs. Stock SUVs to heavy-duty built rigs can be found here. As with many off-road areas on the East Coast, the Uwharrie National Forest requires any OHV visitor to purchase either a daily or yearly pass. Passes can include camping privileges, but note they are in designated areas only, with no open dispersed or primitive camping opportunities like in West Coast BLM areas. Charly Aurelia, who was a firefighter and wilderness paramedic in Maine, has explored many parts of the East Coast. He mentioned several off-road areas to investigate: KAT (Kentucky Adventure Tour) trail, Horse Pasture Road (that starts in Gorges State Park in North Carolina and crosses into South Carolina), the George Washington and Jefferson National Forests in Virginia and the Georgia Traverse (which is a collection of county, state and forest service roads in North Georgia). There is also the Mid Atlantic Backcountry Discovery Route too (known as MABDR), along with others areas being developed. East Coast trails can vary from lush green flatlands to black diamond rock crawling. Most of the OHV parks have to accommodate anyone from a novice to a seasoned rock crawler, says Eric. He loves exploring all of the free, legal off-road access the East Coast has to offer. Last year he ran part of the KAT trail, a thousand mile adventure loop through rural Kentucky. East Coast wheelers can experience any kind of terrain that West Coast wheelers can; they just lack big open lands and a limitless amount of beautiful vistas. 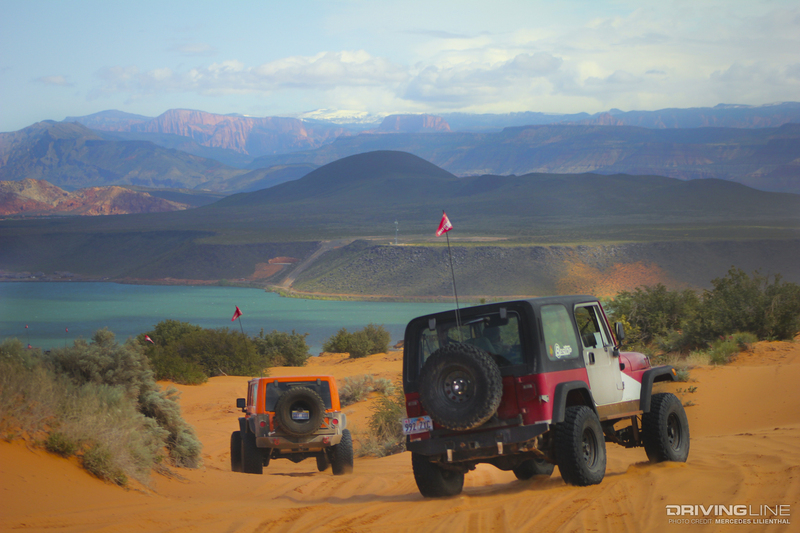 In addition to traversing OHV parks, there are several 4x4 guided services to help you explore if you aren’t familiar with the area. Companies like Vermont Overland and Northeast Overland are a few of these entities. the leaders of these companies are experienced off-road enthusiasts who will take you on trails in Maine, Vermont or New Hampshire. They’ll make sure you find the trails properly and ensure you get out and home safely too. “A lot of East Coast off-road enthusiasts have a tendency to pay a guy to take them in and out of a trail network. 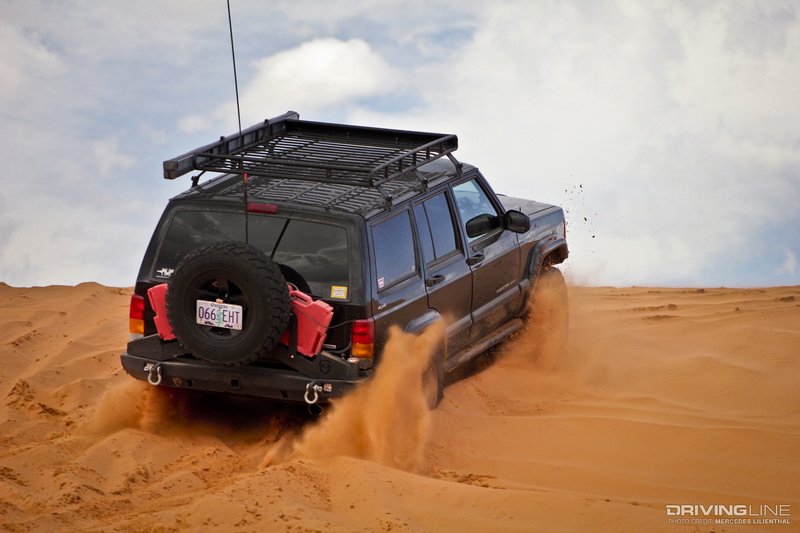 There is a lot of private land and private property, as well as off-road 'do's and don’ts' that these guiding services offer inexperienced 4x4 enthusiasts,” Eric explains. In New England, there aren’t vast swathes of public land adventurers get to play in. In Massachusetts, for instance, the opportunity is very limited. Groups like Exploring NH know a good deal about wheeling in New Hampshire. Or, you could also hook up with another group or guided service that runs trails. Andrew further states that the Golden Road is an exceptional adventure route. 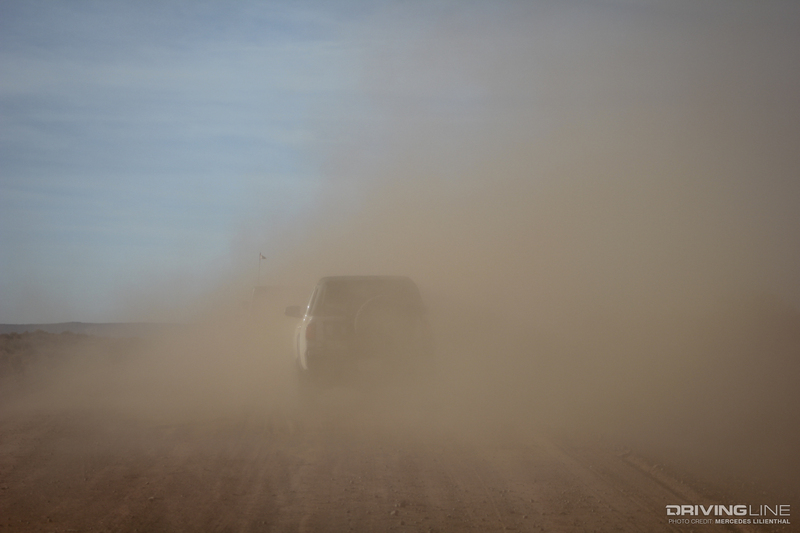 Imagine a 96-mile four-lane-wide dirt road that you can traverse on. It was built by the Great Northern Paper Company to let logging trucks move timber from the company’s 2.1 million acre woodland area to its mill. Most of the trail is non-paved, however about a third of it is tarmac. “It's pretty damn epic. Off this road is a spider web of side roads you can explore.” Be aware, however, logging trucks still frequent the Golden Road. They drive similarly to ice road truckers, and won’t slow down for you. Be sure to give them plenty of room when you see one coming. No matter whether you explore the East Coast or West Coast terrain, doing your research beforehand is important. I had no idea that most East Coast off-tarmac adventuring happens in state parks, private land or via guided services. A few East Coasters I talked to were surprised when I said you could camp pretty much anywhere on BLM land. This goes to show that adventuring can be complex yet rewarding. Do your research ahead of time, especially when venturing towards the Atlantic or Pacific Ocean. Want to go totally off the grid? You need to learn how to navigate without a GPS.